No. 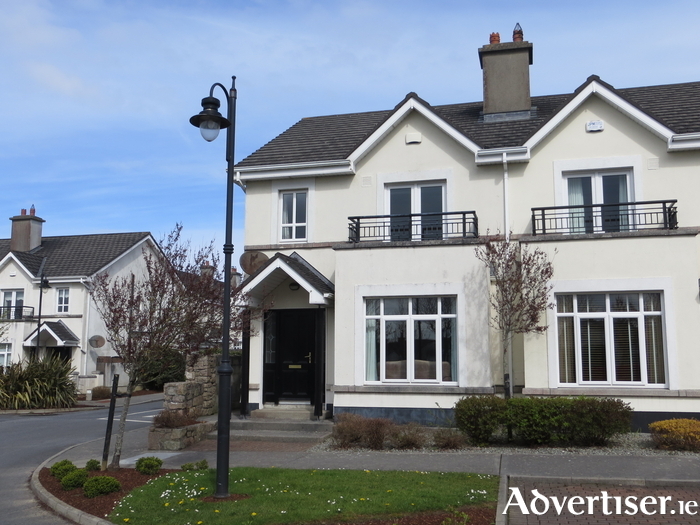 32 is a superb corner house, family home, situated in the very popular estate of Binn Bhan, constructed by the well known Galway builders, O?Malley Construction, in 2002. This property is a very spacious four bedroom home, which is in pristine condition throughout and boasts many extra unique features, such as archway between Kitchen and Dining room and granite worktops to mention but a few. It is situated overlooking a green area and is adjacent to all the conveniences of Knocknacarra and Barna. It is situated within walking distance to Cappagh pitches, Barna Woods and a variety of primary and secondary schools including the new Col?iste na Coiribe and Salthill and the famous Promenade are a short drive or leisurely stroll away. This home comprises of a wide spacious entrance hall with w.c. & w.h.b under the stairs. To the right of the entrance hall is a large sitting room with feature fireplace, attractive bay window and double doors to Dining area. The dining area leads into the Kitchen and Breakfast area through a striking arch feature which allows for a feeling of extra brightness and spaciousness. Just off the Kitchen is a Utility room, which is plumbed for washing machine and dryer and has a separate door to the side of the property leading to the back garden. There is also a double door from the Dining area to the rear garden. The rear garden boasts maintenance free paving and shrubbery/rockery area. There is also a detached shed constructed of concrete block walls with a concrete tiled roof and the oil central heating boiler is located here and also excellent space for additional storage. On the first floor of this property, there are four bedrooms. The master bedroom is a spacious double room situated to the front of the property and boasts a balcony and ensuite and built in wardrobes and chest of drawers. Bedroom 2 is situated to the rear of the property and is a double bedroom with built in wardrobes and chest of drawers. Bedroom 3 is situated to the rear of the property and is also a double room with built in wardrobes. Bedroom 4 is situated in the front of the property and also has built in wardrobes. The main Bathroom has a white bathroom suite and is partially tiled. Additional features include: - Oak wooden flooring runs through entrance hall, sitting room, Dining area, Breakfast area and there is tiled flooring in the Kitchen; - Carpet flooring on the stairs, landing and all four bedrooms; - All doors skirting and architrave are oak wood; - Coving in entrance hall, sitting room, kitchen and dining area; - Archway separating Kitchen/Breakfast area and Dining room; Stira stairs to attic; - Oil fired central heating with oil tank appropriately positioned behind shed in rear garden; - Maintenance free garden with south facing aspect. BER: D1. Guide Price: ?275,000. For viewing or further details of this fabulous home, please contact Lynch Auctioneers on 091 566157 or Olivia Lynch on 087 9921226.